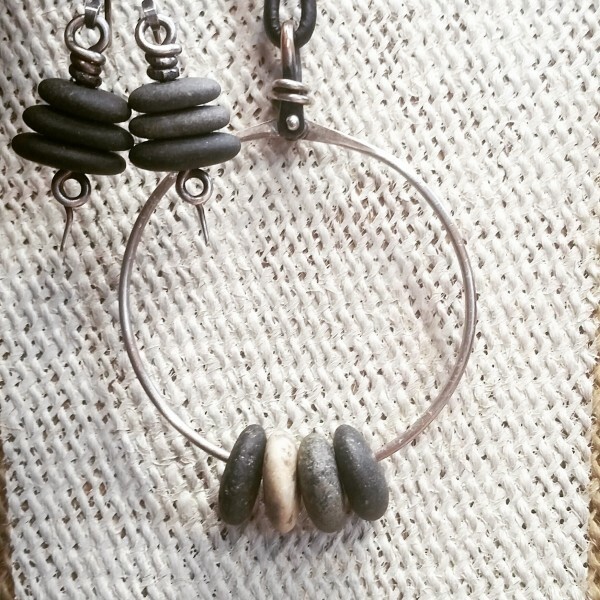 Maine Beach stones, cold connected with sterling silver hinge. 2 1/4"W. Hangs on a natural leather cord with handmade slide. Adjustable length up to 38"L. Oxidized.